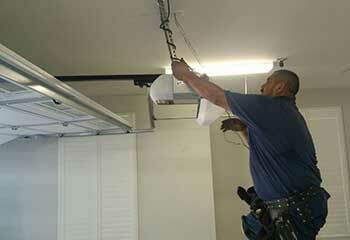 Trust our expert technicians for top quality garage door maintenance, repairs, and installation. Look over some of our latest projects to see why we're the number one service team in Chula Vista! 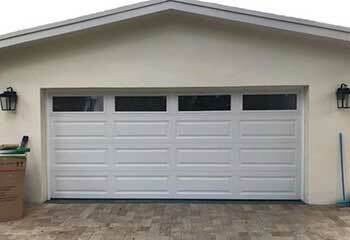 Customer Issue: Needed an insulated garage door. Our Solution: Since warmth and comfort were the customer's top priority we recommended he get a door from the Amarr Olympus Collection that provides a superior insulation R-value of 19.40. We then installed the new door for the customer and made sure that it was effectively insulating his garage. Our Solution: Because the customer's existing opener was over 10 years old, we replaced it with a new Chamberlain AGDL B980 belt drive opener, which has a wireless keypad, MyQ control panel, and all the safety and easy to use digital options that the customer wanted. 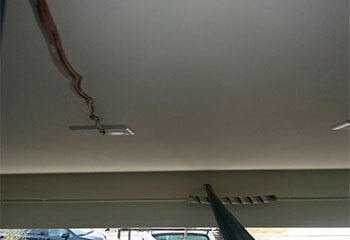 Customer Issue: The garage door tracks were bent. 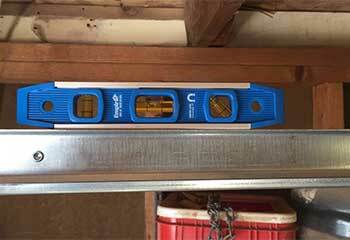 Our Solution: We replaced the old tracks with new ones to enable the door to glide smoothly. 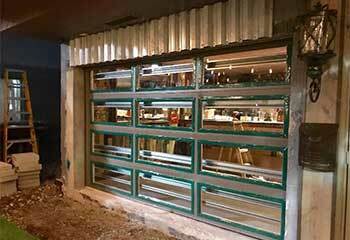 Our Solution: We installed the Athena Martin garage door that Jodie had ordered and explained its core features once it was running. Our Solution: Anna’s spring had snapped so we removed it and fit a new stronger model. We replaced the other spring as well to make sure the problem won't repeat anytime soon.